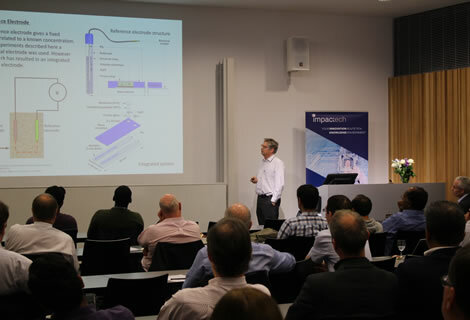 The University of Southampton, a world-leading research environment, is leading the way following the creation of the Impactech hub during September 2016 in partnership with NMI – the champion for the UK electronic systems and technology industry. 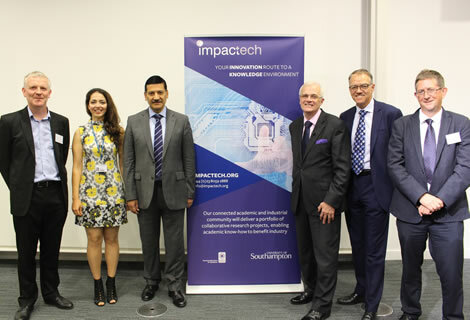 Professor Michael Butler, Dr. Ghaithaa Manla (Impactech Manager), Professor Bashir Al-Hashimi, Professor Sir Christopher Snowden, Derek Boyed (Chief Executive at NMI), Dr. Alastair McGibbon (CTO at NMI). The general trend of an increasing gap between the world of academia and the world of business, has led to demand for a system to bridge this void. Applied research provides great potential to promote the impact of research and drives new innovation. Having a healthy relationship between industry and academia turns research ideas into products and services that can grow the economy and create jobs. The hub's mission is to support collaboration between industry and University of Southampton researchers and educators, helping the UK to retain its leading positon in electronic systems and technology industry. The UK has an outstanding reputation for academic research capability, and in the domain of Engineering and Physical Science, is strongly supported by EPSRC’s £3.3B investment portfolio. Building stronger engagement between industry and academia to leverage research capability is a well-recognised challenge. As part of a response to this, the hub will operate as a facility that pulls together experts and businesses from across a wide range of domains, including autonomous systems, nanotechnology, smart sensing, communications, electronics and data & security, allowing collaboration and acceleration of innovative solutions. 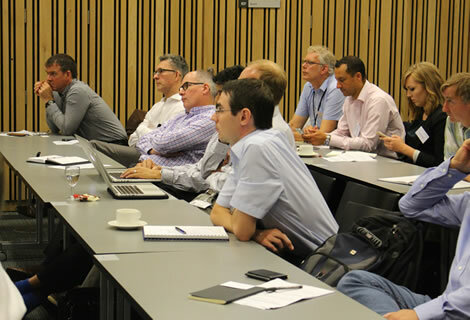 A main focus of the hub will be to hold regular networking events, which will provide opportunities to hear about the latest challenges and development in key areas of university research, as well as from companies working in those fields. With over 80% of the industrial base being SMEs, the ultimate goal of the hub is to increase their visibility and market penetration, and provide support with technical development. Impactech manager Dr. Ghaithaa Manla is currently Enterprise Research Fellow for the Faculty of Physical Sciences and Engineering. Dr. Manla's role is to enhance the relationship between industry and academia to maximize the impact of research on our society and, thus, the economy. She firmly believes that having a healthy and strong relationship between these separate worlds will ensure that scientific discoveries and technological developments are accessible to end users who can then further exploit the technology into new products and services. Presentations available for download below.